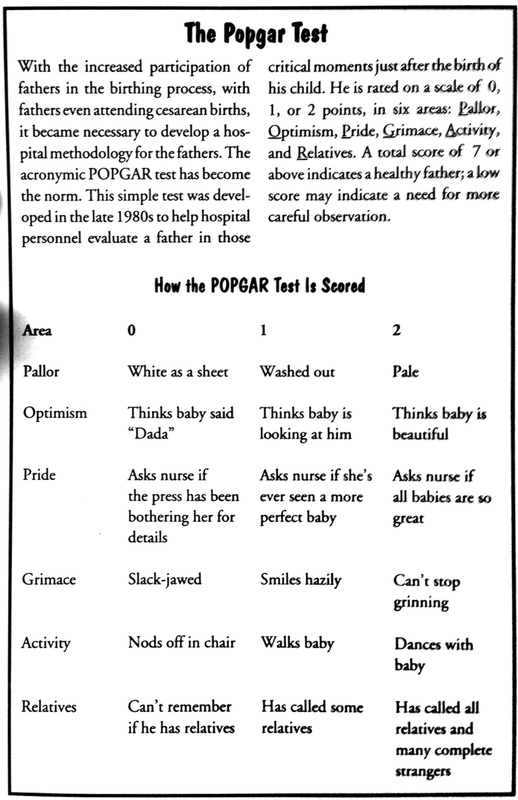 I came across this little test used by hospitals and medical staff to assess how dad is faring in the delivery room. I came across it in “What to Expect When Your Wife is Expanding“, by Thomas Hill. However, I am not sure if it is serious or not. A Google search for POPGAR didn’t lead to anything other than the reference in the book. But its kind of fun. Who would you score on this test?